HOWYWOOD KINDERGARTEN! 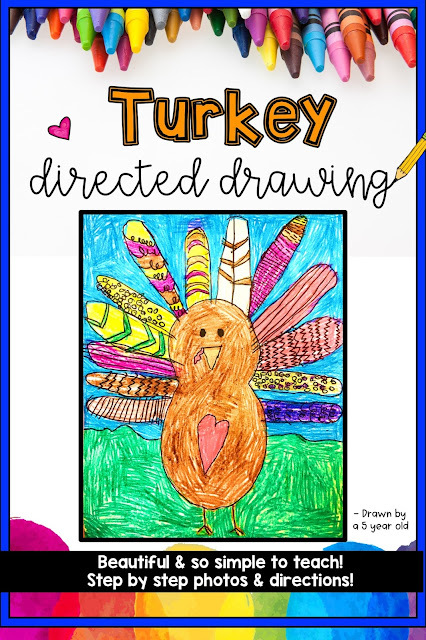 : Turkey Directed Drawing!! "This was THE BEST directed drawing! My kinders loved it and they turned out awesome!" You guys. I am SOOOO in love with how these turkeys look hanging in our hall this month!!! Most of these were actually done my my teacher-friend's K class... tiny 5 year olds created these! They're so precious! I just have to share how beautiful and unique they are (and also sharing so I have it easy for myself to find to show my next year's class as awesome examples! )!